Update your lingerie collection with this teddy. 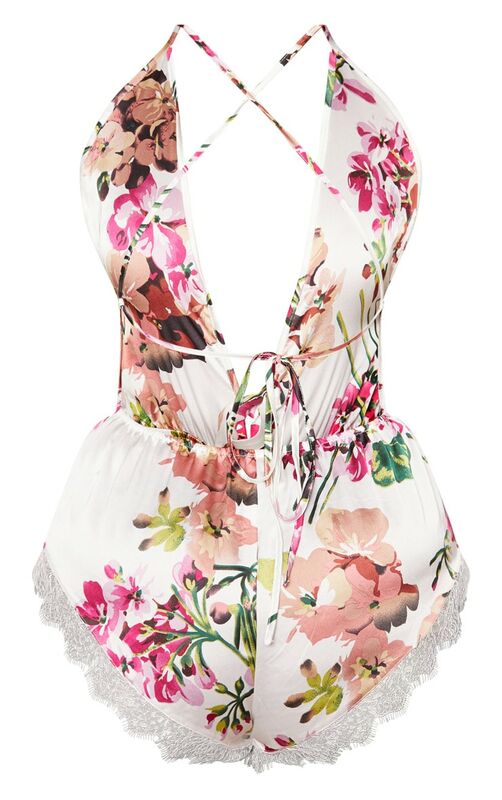 Featuring a white material with a contrasting floral print design and a tie detail on the back. Team this with a satin dressing gown and your fave slippers to complete the look.